Ten other cities in the country are larger than Austin, and three of those also make their home in Texas. While it might not be the largest city in a state that values size, it is still the Capitol. Austin is a city with several thriving industries that employ its roughly 885,000 residents. The government, education, and the technology sectors are just some of the important players in the Austin economy. 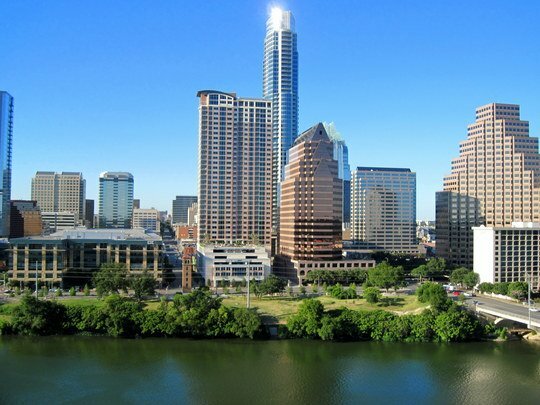 Many major tech companies, including Apple, Google, IBM and 3M have offices in Austin. In addition, the city is home to the University of Texas at Austin, the largest in the University of Texas system. There are also well over a dozen other universities and colleges of all sizes and specialties found throughout the Texan Capitol. The summer is preferable to the winter when it comes to looking for apartments in Austin. The available selection tends to tighten up a little during the winter months. June, July and August are all very good times to start pounding the pavement to find an apartment in Austin. There's no magical secret to finding a great apartment in Austin. Just try to keep in mind the things that landlords want in a good tenant. Things like professionalism, stability, responsibility and good communication skills are all important to landlords. If you can evidence this through your application, interview, or references, you're off to a great start. Austin is not a walking town, unless you're restraining yourself to the University of Texas campus. Instead, try taking the Capital Metro bus system. There is also a rail line that helps people commute between the northwest and downtown. Driving is an option used by many, but be warned that if you're heading downtown, parking is both expensive and hard to come by. The Museum is home to both an Art and a Science and History museum, which when combined with the very beautiful campus can make for a perfect outing. The Capitol building is an important and spectacular piece of Texas history. Swimming is a popular activity in the summer heat, and there are several spring fed pools such as Barton Springs pool that are open to the public. Also in the summer, you can check out the world-famous SXSW festivals.